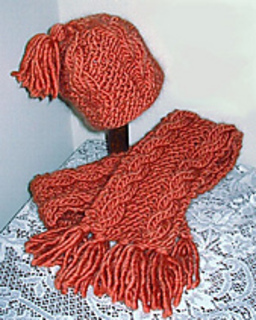 As the winter snows start flying, you will need a hat and scarf to protect you from the chill. This cable and garter hat and scarf set will do the job. 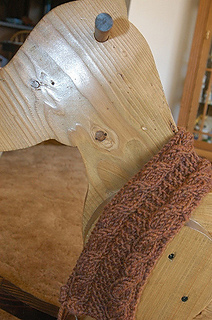 Worked with super bulky yarn at 2 sts=1” in garter stitch, they knit up quickly so you can enjoy your time outdoors! 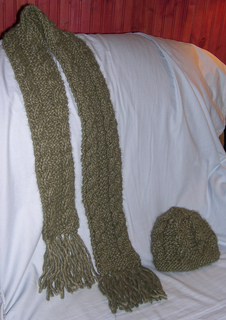 The hat will fit an average adult with a 20” finished circumference and the scarf measures approximately 6” wide x 60” long.